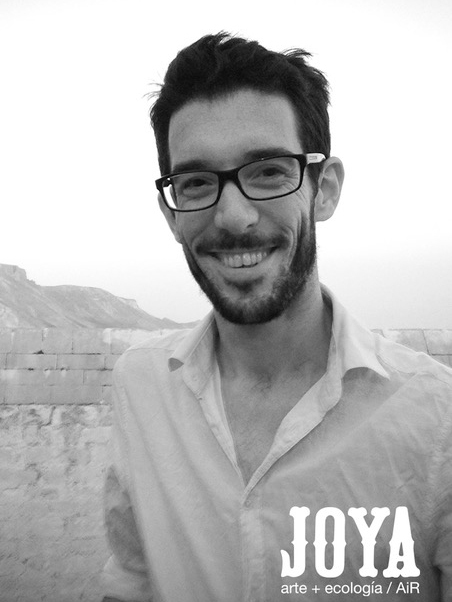 Simon Beckmann is co-founder and curator of Joya: arte + ecología / AiR. He is a researcher, activist, artist and designer. He grew up in the small industrial town of Glossop in Derbyshire, on the edge of the Peak District National Park in England. He studied Fine Art at Manchester Polytechnic, received his MFA at The Royal Academy Schools in London. 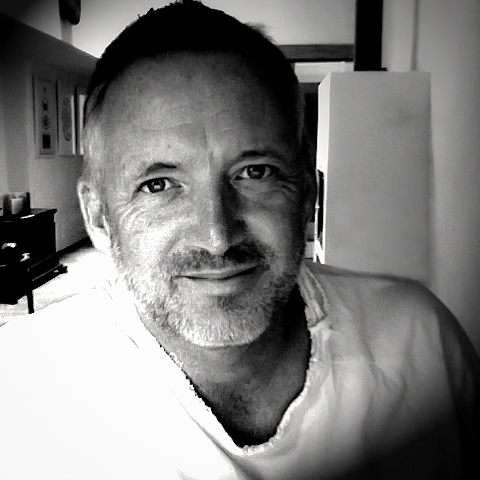 Simon regularly gives lectures in Spain and the UK, and continues his own practice through the Joya: arte + ecología programme. Donna Beckmann is co-founder and director of Joya: arte + ecología / AiR. Donna grew up on a fruit farm in the south east of England. She studied Illustration at Bristol School of Art, specialising in food and travel. These interests led her to New Zealand, Australia and south east Asia before settling in India for two years exploring and painting the diverse recipes and food culture of the continent. She now creates info graphic diagrams and grids depicting contour strip cropping, water resources, forgeable food, aromatics and local recipes. 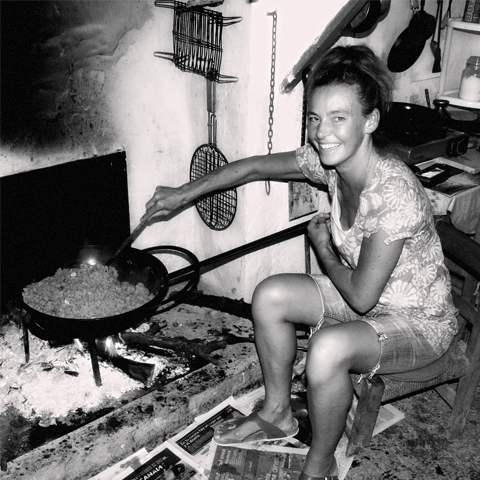 She is deeply connected to local, seasonal, sustainable and slow food. Lucy Wade: front of house for Joya: AiR, at just 20 Lucy is a natural communicator possessed with a great empathy and interest in all the artists and writers who pass through the studios of Joya: AiR. Inveterate bookworm, student of Spanish language and culture, Lucy hopes to continue her career aligned around the twin ideas that are the foundation of Joya: arte + ecología, contemporary culture and sustainability. Juliane Foronda joined Joya: arte + ecología / AiR late summer 2018. She is a Filipina-Canadian artist and organizer who is based between Toronto and Reykjavík. She works predominantly in sculpture, object, intervention and text. Her practice is invested in notions of care and support, but more specifically the limits and absurdity of them. Juliane has exhibited in Canada, the USA, Greece, Mexico, Iceland and Norway, and she has curated shows in Canada and Iceland. Juliane has previously worked at various galleries, artist-run spaces and residencies such as MKG127, G Gallery (both Toronto), Hospitalfield Arts (UK), and was previously managing RÝMD in Reykjavík. She graduated with a BA Honours in Studio Art from the University of Guelph, Canada in 2013 and has recently graduated from the MA in Fine Arts programme at the Iceland University of the Arts. 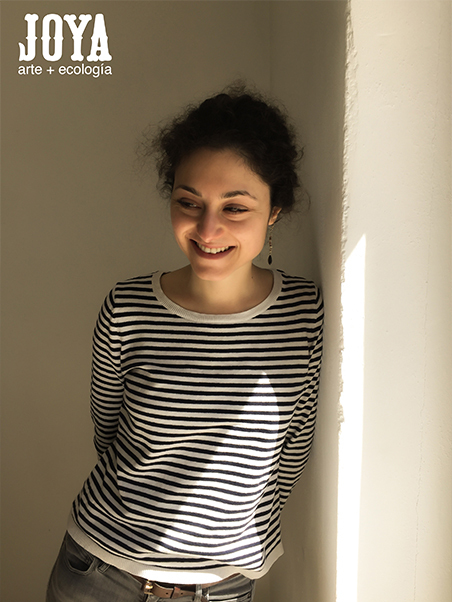 Margherita Rossi joined Joya: arte + ecología from London, to work as Project Developer. Margherita grew up in the art world between Venice and Munich, Vicenza and the mountains of South Tyrol. She completed an undergraduate degree in the Economics of Art at the Univeristà Cattolica del Sacro Cuore, Milano. She later worked as a researcher at Sotheby’s in London, and as an organization member at Hauser & Wirth. Most recently, she gained a Post Graduate Diploma in the History of Art at the Courtauld Institute. Diederik Leutscher Grew up in the north east of the Netherlands in a family of pianists surrounded by classical music and art. He studied photography in Amsterdam specialised in landscapes and the relation between nature and human interventions. After Amsterdam he finished his BSc in rural development which brought him to Joya for an internship. His love for nature and birdlife got more serious after his studies which led to a bird audit at Joya, counting over thirty different species in the direct vicinity of Cortijada los Gazquez. In his photography, birdlife, nature, landscapes and love for light and beauty all come together. You can see Diederiks photograph of a Hoopoe at Los Gázquez on this website. Rachel Arena joins Joya: arte + ecología / AiR as a web developer after completing her BFA from the Rhode Island School of Design in Film/ Animation/ Video. She grew up in Los Angeles, California where she has worked for arts and education non-profits and animation studios. She is drawn to film as a medium because it communicates in a way that is immediate and immersive. Working experimentally, her films combine digital video with printmaking, painting, and drawing to created multi-layered, tactile imagery. Her current work looks at memory, place, and family archives. Annika Berry joined Joya: arte + ecología from the US, where she recently completed a BFA at the Rhode Island School of Design. She has worked as an archivist, writing tutor, artist and fabrication assistant, as well as for various arts non-profits. She grew up in Portland, Oregon in a family of writers, cooks and eaters. Seduced—yet sceptical—of the American Cowboy mythology, artistic research practice references the icon as a lens to critique social, cultural, personal and political desires. She hopes to travel to the Tabernas Desert in Andalucia where Sergio Leone shot his famous Spaghetti Westerns.